This past week brought one of the most interesting since the beginning of Awaken Church. We showed up like any other Sunday morning to setup for our weekly worship gathering at the theater we meet in to only open our trailer and see that it had been cleaned out of most of our video and sound equipment. Yes we were robbed! There was a sense of violation, shock, and disbelief as myself and several other leaders at Awaken stood staring at a half empty trailer. With only a couple of hours until the place would be packed with people eager to worship and meet with God we quickly had to gather our bearings and trust that God was leading the way. As I told News Channel 3 on Monday afternoon this reminded us as a new church what we have always intended Awaken to be: a church that was not just about Sunday Morning and gathering as many people as possible into a building, but instead a community of people dedicated to loving and serving our city pointing people towards Jesus. 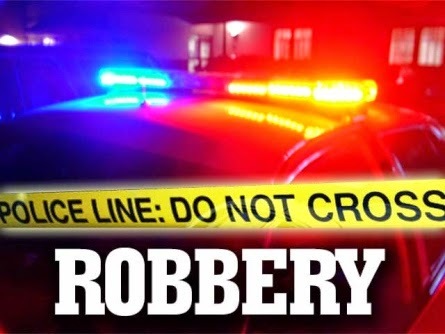 In a lot of ways this robbery is just another way God is using to focus on people and not programs, on a high touch church and not just a hi-tech ministry. We are seeing this as a great opportunity for the church to be the church, to rally together, to take ownership, and say this is my home and the community of people that I choose to walk with and struggle with in my pursuit of God. An arrest was made Tuesday afternoon through several crazy events of which included a Pastors' Stakeout, Theater Management's PI work, an eye witness from Awaken's Community, and a detective's arrest. We are currently working with detectives on the recovery of our equipment, which at that point had been sold. The suspect has been cooperative and with the agreement of the Virginia Beach City Police Department was allowed a phone call with one of our pastor's to apologize and seek reconciliation. We are hopeful and discussing a long term relationship where we might help and walk with this individual. Through this latest challenge we are very aware of God's providence and hopeful on the full recovery of the items that were stolen. We are thankful to people within Awaken and outside of Awaken that have stepped up to help in various ways and look forward to see how God brings resolution to an otherwise interesting turn of events. Most of all we are praying God can turn a Robbery into a work of Redemption. Pray with us for this man that he may find Jesus and God may use us in the process.